GONDA (UP): In a stern warning against "sugarcane and food mafia", Uttar Pradesh Chief Minister Yogi Adityanath today said those involved in such practices will be booked under the National Security Act (NSA). Addressing a rally here for the urban local body elections, he said, "State government officials involved in 'bandarbaat' (corrupt activities) will be given compulsory retirement. Those who have become a 'bojh' (burden) on the administration will be thrown in the dustbin , and unemployed youths will be given employment". The chief minister also hit out at the previous dispensation for "keeping their eyes closed in the face of rampant loot of public money". "After a change of power at the state, we have started systemic changes and initiated a campaign," he said. 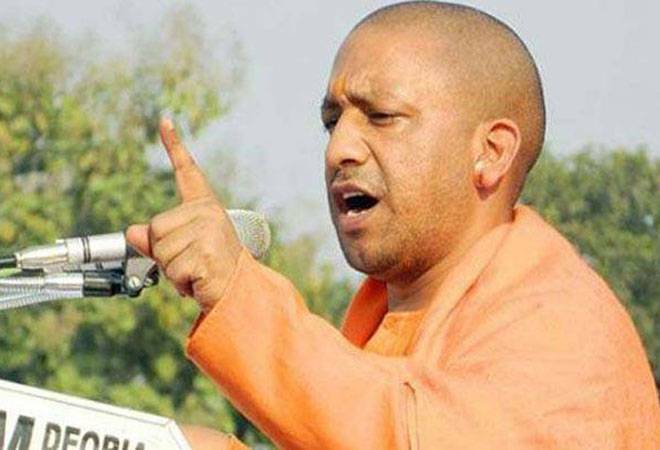 Adityanath asserted that sugarcane and food mafia was on the radar of the state government, adding that action will be initiated against those involved in such illegal practices under NSA. Under the National Security Act, a person can be detained without bail or trial, and the authorities need not disclose the grounds of detention if they believe the detainee can act in a way that poses a threat to security of the state/country or maintenance of public order. The priest-turned-politician also urged people of Gonda to work hard to remove the tag of "dirtiest city in India". Gonda was ranked the "dirtiest city" in the country by the Swachh Survekshan-2017.